It cannot be denied. The customer who introduced me to the Radio Garden website has, with a click, changed my audible wallpaper. As a googly-type earth revolves on my screen, with tiny sparkly dots indicating the different radio stations, channel hopping and globetrotting has become indecently quick. Indecent, because my finger tapping is so light that I am rarely sure of which channel I am listening to – not that it matters because, in three or four minutes, I will swap continents and tune in elsewhere. At first, the oddity of waking in the morning to an Australian tea-time show felt no worse than quirky. I found it more difficult to reconcile my ears to an American West Coast weather forecast for the afternoon which, for me, had already been and gone and I was thinking about my evening cocoa. I do wonder if this environment is disrupting my concept of time, drawing me closer to an unavoidable black hole. But, whisper who dares – the time of day and the place on earth do not matter one jot, because everywhere is churning out the same stuff all of the time. Now, I am sure that I could find more specialised stations if I employed little more diligence and a little more awareness of what I am looking for. But that hardly changes the wallpaper pattern when I randomly select one little sparkly dot from somewhere in the world and the content is, well, the same as the other randomly selected little sparkly dots. You would think that radio from small town America would be different from small town New Zealand. The concession that the audience gets what it deserves is of little help. We decide what is popular and the radio stations deliver it, is that it? Are we really saying that producers are so devoid – and so caught up in corporate boundaries – that, as professionals, they are unable to deliver new ideas in attractive ways? It seems so; they seem focussed on elbowing their way to front of that race to the bottom spawned by the proliferation of choice. In short, it seems inevitable that professional radio will go the same way as their newsprint predecessors. Because, in this digital-cyber age, enthusiasts are eager to be imaginative and they are ready to do it for nothing. Photography, journalism, music, broadcasting – almost any media activity. This is already happening. And I am sure that I am not alone in recognising the picture. I ditched the television years ago and, although I enjoy listening to the wireless, the list of web podcasts which I am desperate not to miss has to be managed if it’s not to occupy two or three hours each day. These programmes are put together by enthusiasts with a burning need to set out their specialist interests in a serious way. They are already pushing the radio schedules aside. Someone, somewhere, needs to wake up? Not so, apparently. The great broadcasters and the newspapers will survive because the listeners will always trust their content first, I’ve been told. Ladies and gentlemen of the press, that conceit will be revealed as a fool’s paradise in the few years it will take for more enthusiasts get good at it. People in England are divided into two; those who watched Jack Hargreaves television programmes and those who didn’t. Hargreaves was already an experienced journalist when he began to present “Out of Town” on Southern Television in the 1960s. Over the years, it bounced around the schedules but I like to remember it as the half hour show after my Sunday lunch. We knew that we had to endure the ill-fitting signature tune, sung by Max Bygraves, but we had no inkling of what was to follow. Sometimes Jack showed us how to make flies for fishing, how to prepare and cook game, the purpose of that gadget on the wall behind him, the difference between a good and bad pipe, the meaning of an old song or a report of his recent visit to a horse-fair. It was always a one man show, as far as I can remember, and presented from his den (which I still cannot bring myself to accept was just a studio set). When I left home, the second book which I read in my new digs was Georges Simenon’s memoir “When I Was Old”. Again, he mentions the romance of a new set of writing books – in his case, delivered by special order from his stationer. I’m afraid I can’t grow out of this obsession. My wife and daughter know that, for me, no Christmas or Birthday is complete without a fresh set of exercise books. You won’t be surprised that I have dozens of jotters on the go at the same time. (I write detective novels and need plenty of alibis.) But like Agatha Christie’s scribbling books, they are neither numbered, dated nor organised, and many are full of my best ideas, lost to the world because no one, least of all myself, has any chance of deciphering the writing. But those labelled “My Notebook” are different. “My Notebook” is always carefully written (no alterations allowed) and filled with the trivia that is the best clue to my life. I recently came across one from the 1980s and found the scores of a card game with my wife, my thoughts on seeing a Policewoman in trousers for the first time, a recipe for a disgusting type of hamburger, and three or four paragraphs which I thought would make good openings if I ever got around to writing my different novels. Here, I want to restore the pencil to its rightful place on the writer’s desk because the poor old pencil has suffered so much in the recent age. Pretty soon, this old friend will be a country bygone for Jack’s successors to talk about. Overlooked, uncared for, denigrated and given all the horrible jobs and so often found –dirty and chipped – in the bottoms of drawers, the pencil family is rarely recognised for its true strength. Let’s look at the advantages over the pen (and especially that infernal invention, the ball-point). The pencil may need sharpening but it will always work. Ball-points do not. Once you have mastered applying different pressures, you will have far more control over a pencil than you will ever have over ink-flow, enabling the pencil to indicate what is old thinking and what is new, what is important and what is frivolous and which remarks should be grouped together. No squiggly lines needed here; it’s all done by weight and twist of hand. Pencils don’t leak, their marks can be erased and, most of all, the writing does not fade. Words from a ballpoint do. Now, step forward, the spirit of Jack Hargreaves. With the dropping of the pencil, we have lost another skill. The craft of pencil sharpening. Of course, this was sent into decline when the pencil sharpener was invented. Pencils should be kept up to scratch, lightly, with a sharp blade, carefully fashioning the shape and gauge of the point, just as you need it. If you were ever a young lad who whittled (ah, whittling!) your pencil will recognise an experienced hand of fine judgement. Yes, Jack would have made a damn good programme about pencil sharpening. Right up his street. The risk of repeating this quotation is that eventually, people may believe that the purpose of reading a book to is find out what happens on the last page. The book can then be thrown away and, ultimately, we have no literature at all. Why would anyone read Henry V when we all know what happens at the end? Do we stop at the restaurant to ward off hunger or to enjoy the taste of the food? There are many books that I read, hoping never to get to the end. Bleak House, Treasure Island, Great Gatsby, the Waste Land, Ulysses. But there are also books that I read simply to get to the middle. Two examples are Neville Shute’s A Town Like Alice and John Buchan’s Sick Heart River. Both these are well written, well constructed books that were great hits. In A Town Like Alice a young woman uses a windfall to make some sense of her war experiences by helping a community. But my love of the book is the relationship between the old and boring solicitor and the woman. That subplot would get in the way of the second half of the story and we hear little about it, so when I return to the book it is to read the first half. That is what I get out of the book so, at least, someone does read the book to get to the middle. In Sick Heart River, Sir Edward Leithen (one of my favourite characters) comes to terms with his own death, in the first half, and sets himself an adventurous challenge, coming close to the meaning of life, in the second. The light touch of the first half, considering a heavy subject, is something I come back to every year. Again, I read the book to get to the middle. I’m sure that it’s not lost that one of the cornerstones of crime fiction (Mickey Spillane’s genre) is a book that people can only ever read to get to the middle: Edwin Drood. And, finally, what about the work that is the foundation of English fiction, if not English Literature. It was written more than five hundred years ago, and has been studied in depth and read by millions over centuries. But no one has ever got further than the middle. Canterbury Tales was left unfinished. Before we begin, I confess. I am more likely to read the appendix to a history book than its introduction. You will see me returning to the end-notes of a biography rather than its text. And I love books of lists. Old AA and RAC books, old trade directories, bus timetables from bygone days all amuse me because of their window on the world of folk who have passed this way before. Record and book catalogues. Shopping lists scribbled in recipe books. And, of course, bibliographies. Checklists of an author’s books can be fun, descriptive checklists can be useful, but if I want to bury myself in my book room for a couple of hours, I can’t do better than a full blown bibliography. There’s fun for some enthusiasts in arguing with the compiler. Complaints about what has been excluded, what cuckoo has found its way in and, most pernickety of all, why a particular book has been listed in the wrong place. Wrong, that is, for the grumpy reader. I join in those debates but my chunter is rather muted because the compiler’s approach to a bibliography often presents an author’s work in a way that I haven’t considered before. Then, especially for the bookdealer, there is always the challenge of stocking something that isn’t in the bibliography. On the face of it, this can seem quite easy for few ‘complete’ bibliographies are really complete. (To be fair, most compilers do acknowledge that any list can only be work in progress. Would we want them to forever hold back from publication for fear that something else might turn up? Of course not.) But the better the bibliography, the more tempting the challenge. Some members of the Betjeman society use my book shop and I’ve been trying to beat their bibliographer for a couple of years. Twice, I thought I was ahead of them. One was a poem reprinted in a parish magazine while the other was a leaflet written for a civil war society. But no, these items were already known and I have yet to beat their bibliographer. For me, the real joy of the bibliography is the connection it provides with the books as real, physical, ephemeral products. Let’s say: the second edition has blue cloth, although a less common (bibliographers don’t like the word rare) variant has orange. So what happened there? Was it towards the end of a Friday afternoon when the foreman, realising a the last of the blue cloth was required for a more important order, went to his “flat pack” office, made a hurried phone call (the noise of the bindery going on about him) and was told: “Of course, of course, whatever you think, but make sure they are here for Monday morning.” Elsewhere, a packager shouts, “Don’t use the new dustwrappers while we’ve twenty of the previous edition left.” Did he realise just how sought after those twenty reprints in first edition wrappers would become? For people who cannot catch the romance of this – yes, there will be one of two, I’m sure – I want to point you to DH Lawrence’s essay ‘Apropos Lady Chatterley’. In the early life of his masterpiece, Lawrence’s battle with the pirates caused him to produce different small run editions of his self published book, leaving behind a tangle of different states laid over the many bootleg ventures. Obligingly, he also describes these different pirate copies in the essay. All in all, a confusion that cannot fail to attract the book collector with an obsession for order. Now, go to the standard two volume bibliography of Lawrence’s work. Compare notes. Put your own case for filing the bibliographical information in a different form or order and, slowly, a true picture emerges of the life of this book. How it grew. What was happening to Lawrence’s other books at the time. How it recovered from the blind alleys. How it caught the imagination of readers. And, in the end, how the world took ownership of it. I cannot see a good bibliography as a dry and soulless document. Surely, these are the footprints left behind when a book has delivered from the author’s cradle. Some chapters may end up in school textbooks while other publishers present the novel to the world on cheap paper between noisy covers. In later editions, words might be changed while some confusions remain. The bibliographer plots that path for us and, like all good research, she leaves with us with as many questions as answers. And as many opportunities speculate on the why of it all. This post has jumped the queue, pushing aside my notes about the joys of reading a bibliography. This morning, I enjoyed a chat with a customer who insisted that Dickens shouldn’t be read on a bus, a train or anywhere cold. Not too seriously, we set about deciding rules for enjoying an hour or so with these classics. 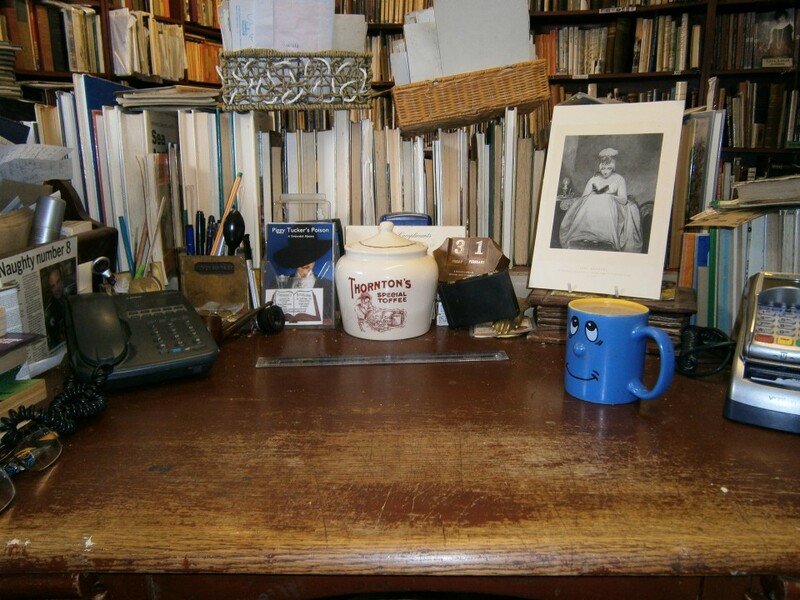 But first, a glimpse at the passion, the obsession almost, that lies in the heart of Dickens followers. The dispute wasn’t settled but things turned out well because ‘the enthusiast’ got the room he wanted and the receptionist didn’t have to consider moving another guest from the official room. But the argument was only our first glimpse of the depth of the enthusiast’s passion for everything Dickens. At half past six we mustered in the reception for the start of the guided walk that he had been promising for days. It was, of course, the best circumstances for a tour, three colleagues including an enthusiast who not only knew everything there was to know, but spoke from the heart. ‘The enthusiast’ shook “the Great Expectations gate” and stomped over the ground of Edwin Drood, all the time treating us to his version of the current controversies within the Dickens fan club. ‘The enthusiast’ might have been the quiet one in the office, but here was our first sight of the real man! The point is – Dickens enthusiasts cannot rest with only the books but become absorbed into the Dickens world. I have been pleased to provide two of my bookshop customers (both Dickens collectors) with various choice editions but, over sixteen years, they have been best pleased with a domestic scrapbook of Dickens characters (from packet wrappers etc) and an old ticket to the 1951 Dickens festival. For me, it is the magic of the great man’s writing. Last summer, Christine and I visited Portsmouth Museum (we always do when we’re down there because of the cottage pie in the little restaurant). In addition to the permanent Sherlock Holmes exhibition, visitors were treated to a Dickens exhibition, celebrating the bi-centenary. 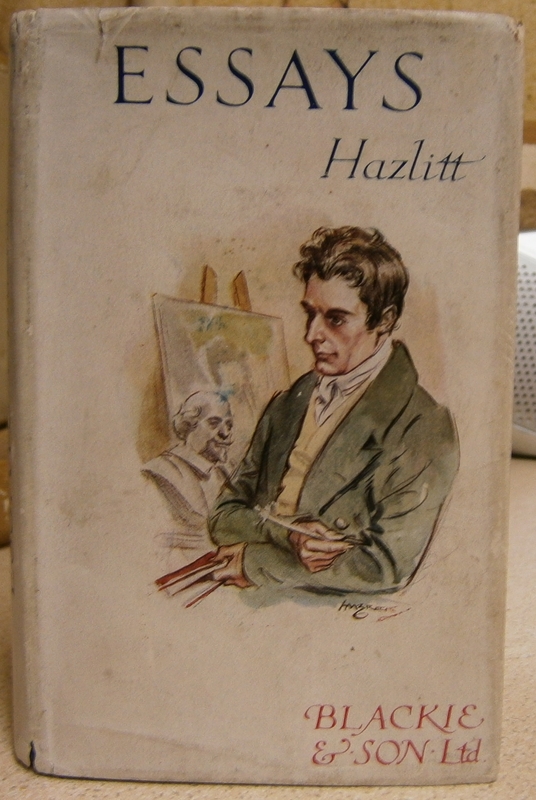 The real treasure was the handwritten manuscript of Nicholas Nickleby. Christine, knowing that I would spend a few minutes staring at this, went off to try on the Dickens costumes. So, what are our rules for reading Charles Dickens? Number one, we decided, was that you should read his books not to get to the end but slowly to digest his prose, reading and reading again those passages that capture you. I said that he is best read aloud but my customer went further, imagining a Victorian family gathered around as someone read to them. Dickens should be read aloud but, better, read to an audience. Rule number three, find your own Dickens space. The chair or corner of the room where you can settle and slip into your Dickens mood. I guess all of this sounds like cosy sentimentality. Well, sentimentality is a charge that is often levelled at Charles Dickens. Cosy? Comfortable, certainly. But that comfort can hardly be drawn from, for example, returning to the horror of Nancy’s murder or a sense that everything will turn out well; it doesn’t. It’s about the security of knowing that you’re spending time with a man who can produce quality prose, vivid caricature and touch us with his reporting of London. We decided on a final rule – a covenant, if you like. You should never recommend a favourite to new readers. They need to explore, and that’s where we envy them. A regular customer came in to our bookshop and caught me preparing a video for YouTube about the two prequels to my first mystery novel (Timberdick’s First Case 2004), and we got to talking about readers’ fascination about “going back” in a series of novels. It’s a vice that I share and I’m not sure that it’s so much about character development (as my friend was saying); for me, it’s more about seeing the characters in strange situations and settings. I have to say that very often prequels are a bit of a disappointment, especially if they are written by someone other than the original author. Talking of other writers taking on someone else’s character, I am usually for it. I got into something of an unsatisfactory web-debate on a Raymond Chandler blog about this. You may want to check it out. It pretty much sets out my views. You knew it was coming … Here’s a link to the video that presents the three books at a Christmas Special Offer price. Hey, don’t get me wrong. Having read through these notes, it comes across that I don’t like writing a series. Couldn’t be further from the truth … I love it. And I lap up the attention which readers give to the continuity details. I’ve not been caught out yet. I was interviewed on Wednesday by Sian Brewis for her feature in this week’s Leicester Mercury supplement. (A double page! Thank you very much) She wrote a trimmed, punchy piece that focussed on what readers want to know. It set me thinking about the provincial journalists that I have met, and wondering about the future of their craft in these days of user generated content. Every small time writer, like myself, will have come across so many of this profession that it’s perhaps unfair to pick just two or three to talk about. John Brunton, no longer with us I’m afraid, interviewed me for the Nottingham Post when my first crime novel was published. It was clear that I was a fledgling author while he was a very experienced journalist. (I believe he interviewed pop stars for Titbits in the 1960s, but I’m not sure.) Yet he spoke to me on a level as we discussed my book, crime fiction and the changes in the reading taste of the Brits. His article was very generous and gave me a recognition that I don’t think I deserved. We continued an email correspondence for the few years before his death and while he was quick to criticise my work (in emails, very incisively), he always treated me with professional respect. He made me feel part of the club. 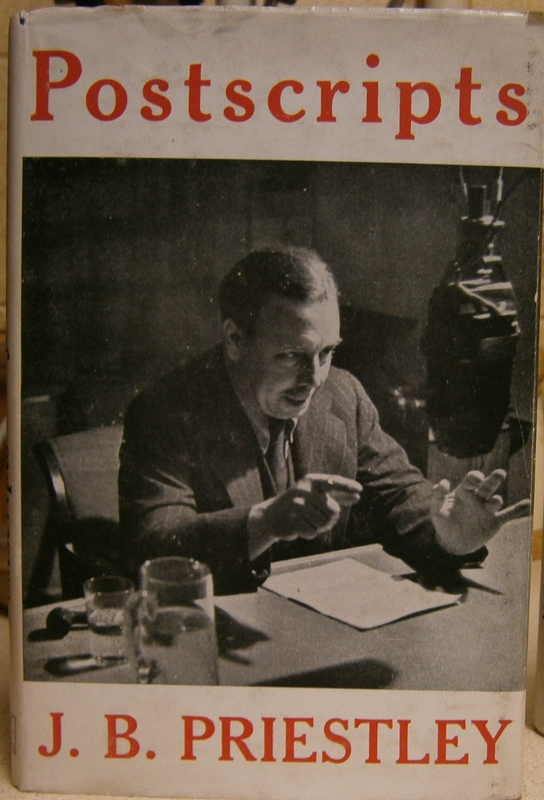 His reviews were always balanced and – perhaps more difficult to achieve – interesting. He knew what he was doing. Another gentleman is Mike Allen. It seems that he no longer works for the Portsmouth News but the articles he produced for that paper sang with his knowledge of regional theatre and the arts. When he interviewed me, he was so concerned about setting myself and my wife at ease and there was so much fuss about getting the photograph right (I’m overweight and not the best looker) that I didn’t feel that I had been interviewed at all. I remember commenting to Christine that we should expect a paragraph or two but no more. Yet, that afternoon, we read a carefully structured full page piece with a narrative and a point of view that can only have come from his careful listening and a quick understanding of my character. There are many other reporters that I could mention in the same way. 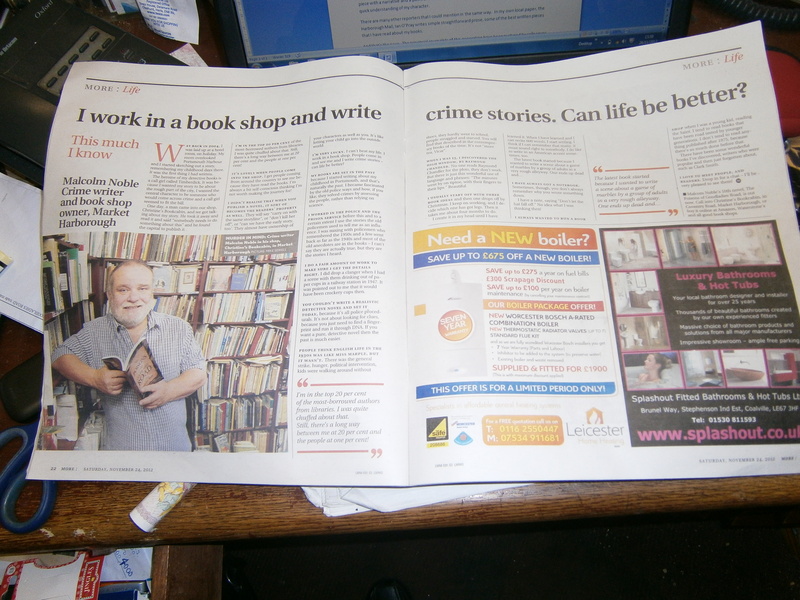 In my own local paper, the Harborough Mail, Ian O’Pray writes simple straightforward prose, some of the best written pieces that I have read about my books. And that’s the issue. The provincial journalists of this generation have been nurtured by colleagues and have honed their skills on hard experience. User generated content may well produce some quality writing amongst the dross, but I fear that it can’t carry the pedigree that comes from working on a busy local paper. Talk to any regional journalist and they’ll talk about the torrent of change that’s rushing through their industry. No-one can complain about that. Culture (like hard-bitten business) has always developed through change. Now is only different because it is happening indecently quickly. I simply hope that the weight of professionalism survives.